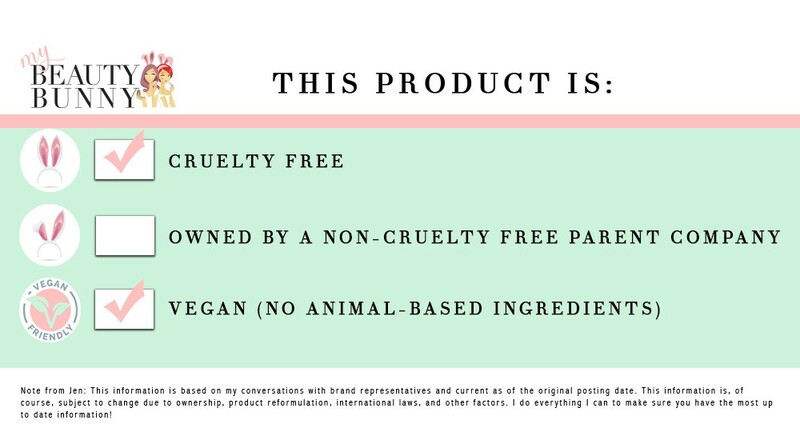 One of the number one things I’ve been asked lately is to do more cruelty free drugstore beauty product reviews. So I’ve listened and I’m working on it! Let’s start with a Wet N Wild MegaGlo Hello Halo liquid highlighter review. Let’s face it – highlighters are a lot of fun to play with! And even better when the price is RIGHT ($5.99!) and you can experiment with more than one shade. 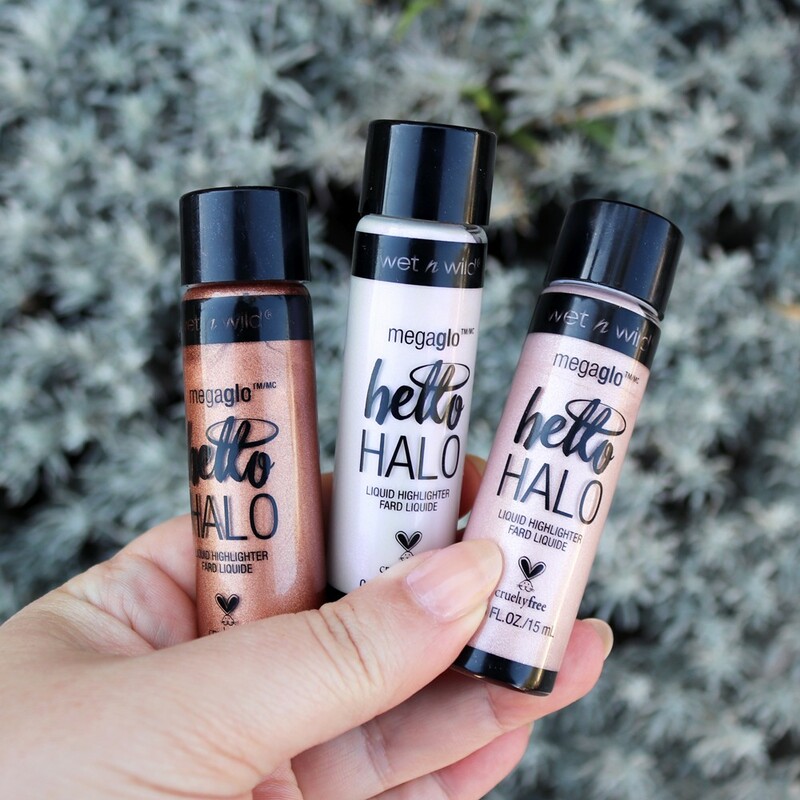 The Went N Wild MegaGlo Hello Halo liquid highlighters are bold, very shimmery (but not glittery) and buildable. They come in seven shades, and they are cruelty free AND vegan. The liquid highlighter formula is hydrating with murumuru seed butter, grapeseed oil and Vitamin E. They come in glass bottles that feel super high-end, but admittedly aren’t the best for traveling. They come with extra large doe foot applicators so you can apply directly to the tops of your cheeks. I prefer to dab a bit on the back of my hand for hygienic purposes. Plus, that allows me to dot it on my nose, cupid’s bow and under my brows with my finger for more precise application. You can also use a brush or sponge blender. 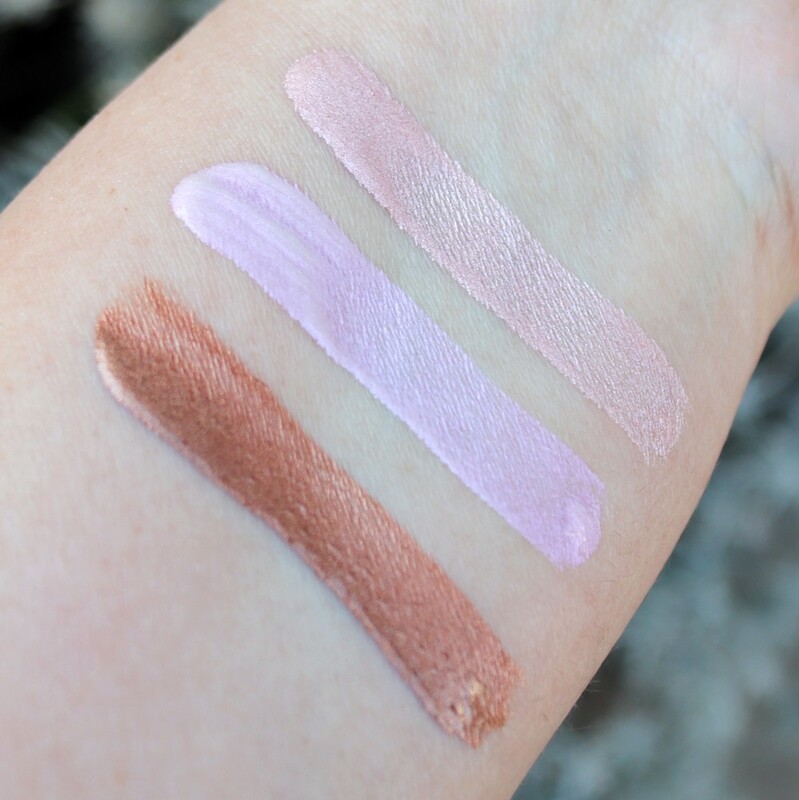 I received a few from Wet N Wild MegaGlo to test out: Go With the Glow (bronze), Halographic (white with purple shift) and Halo, Goodbye (rose gold). Go With the Glow is too dark to be a highlight on me, but it would be gorgeous on darker skin tones. Halographic is a gorgeous cool violet, and is a nice drugstore dupe for CoverFX Custom Color Drops in Halo. 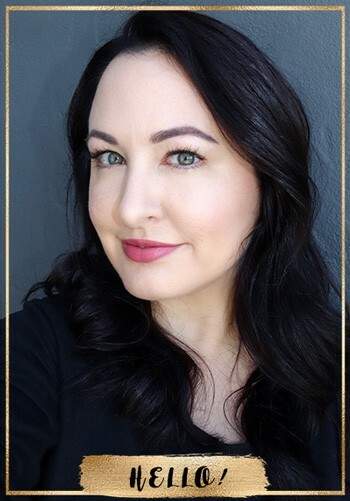 Halo, Goodbye is a pretty rose gold pink that has enough gold to work well with warm skin tones, but would still be stunning on cooler skin tones. So first, let me show you some swatches at full blast. Below are pics I took in shade and direct sunlight. I guess you could technically wear them this concentrated, but unless you want to look like you have stripes on your face, you’ll need to use much less product and blend them out. Luckily, that’s very easy to do with your fingertip, brush or a Beauty Blender. You can also mix them in with your foundation or tinted moisturizer for an all over glow. My skin is oily, so I prefer to only put highlighter in specific areas. In reality, these Wet N Wild MegaGlo highlighters look very natural! 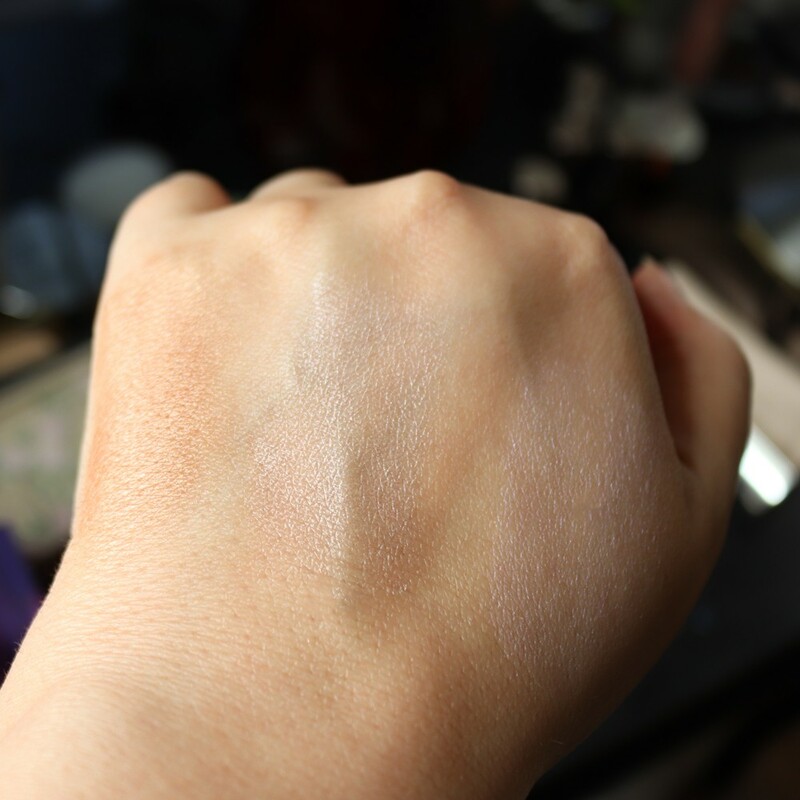 Once you apply a normal amount, you’re left with shimmery goodness, as you can see in the pic below. 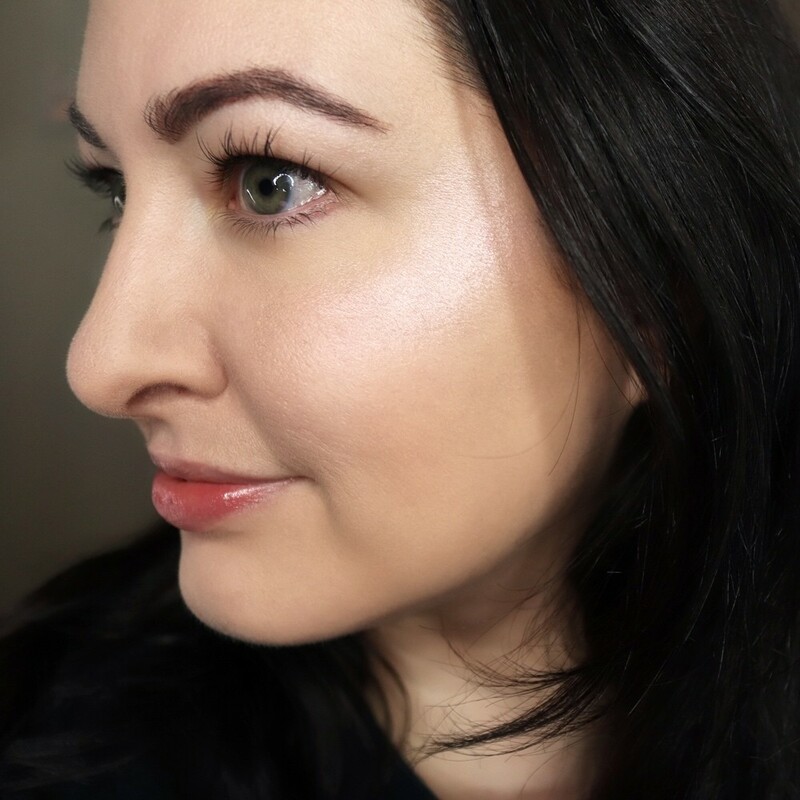 Pretty much any highlighter has the potential to make big pores look larger (like mine!). But, assuming you’re not taking close-up photos with a ring light, this will likely NOT be an issue. The life of a blogger – always looking at myself WAY TOO CLOSELY haha! 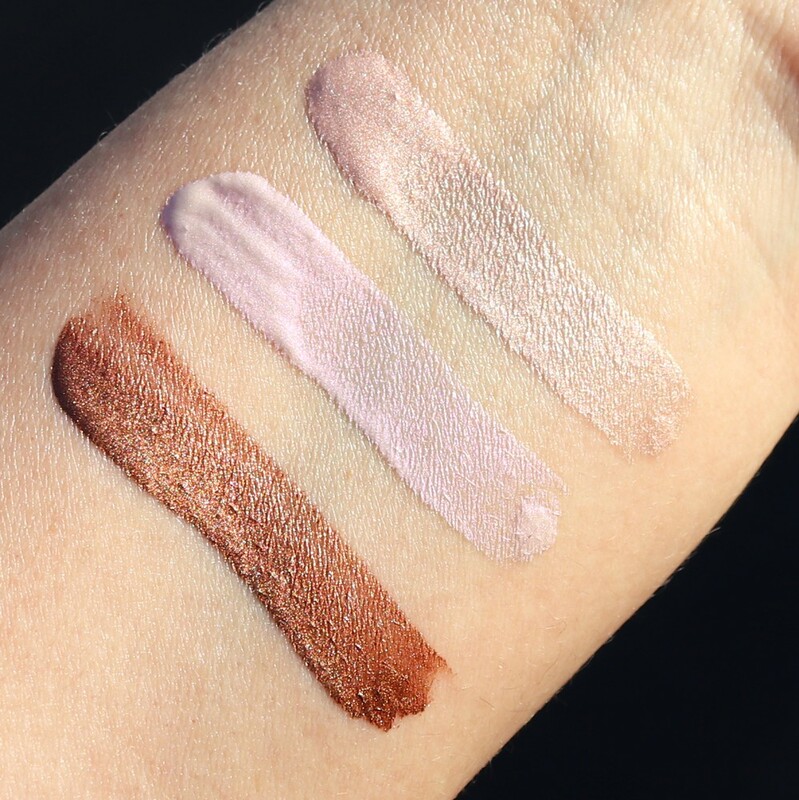 You can find the Wet N Wild MegaGlo Highlighters at Ulta and drugstores everywhere. Let me know what you think of these! 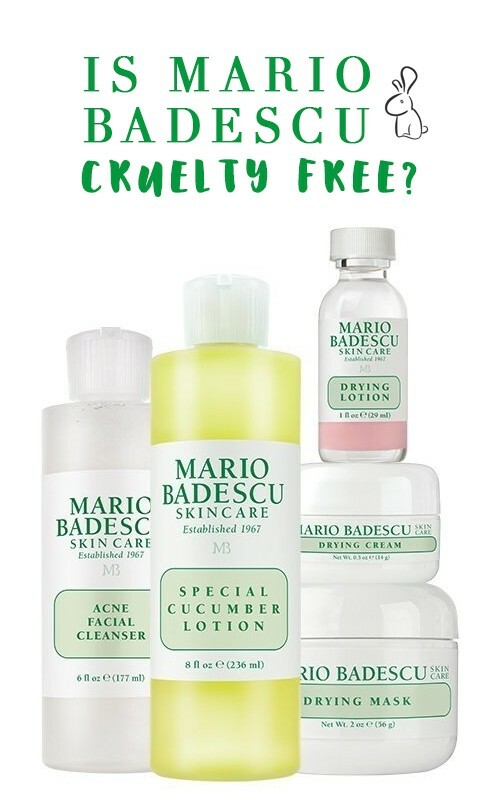 « Is Mario Badescu Cruelty Free? That middle swatch is awesome! I’m not very good at applying liquid or cream highlighters. 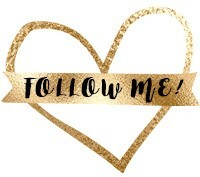 I need you to teach me! I haven’t seen these in stores yet but I haven’t been to Ulta in ages. They do look pretty and the price is wonderful when you realize what the higher end brands charge. I hope to find these at my local drugstore. They’re too pretty! You’re definitely too critical. Your skin looks gorgeous. I was wondering about these highlighters. They look like they’re perfection – especially the price! I have Halo Goodbye and love it! I saw these the other day, but didn’t buy because I thought they’d be a bit much for me. They are perfect when you blended them out! Go With The Glow is right up my alley! Those highlighters are absolutely beautiful! Ohh I like these! The purple toned one is so pretty, and I do love the packaging as well. It’s a little too subtle for me, but it looks great on you! Is Mario Badescu Cruelty Free?